Samsung has refurbished the Galaxy S4 and Galaxy S4 Mini with a black repsray including a black-coloured faux-leather back cover. Despite being released as a new model, the Black Edition has few differences from the flagship Samsung Galaxy S4. The Samsung Galaxy S4 Black Edition ditches the predecessor's plastic rear for a black-coloured faux-leather back. On the inside the Galaxy S4 is the GT-I9505 variant with a Qualcomm chip, meaning it has a 1.9GHz Snapdragon 600 processor. The S4 also has a 5-inch Full HD screen, 2GB of RAM, 16GB of internal storage, 13MP front-facing camera and runs Android 4.2.2 Jelly Bean. As for the Samsung Galaxy S4 Mini, it has the same 1.7GHz Snapdragon 400 processor with a 4.3-inch screen, 1.5GB of RAM, 8GB of internal storage, 8MP front-facing camera, 1,900mAh battery running Android 4.2.2 Jelly Bean. At the moment Samsung are only set to release the Samsung Galaxy Black Edition in Russia next month with no word yet on global available. 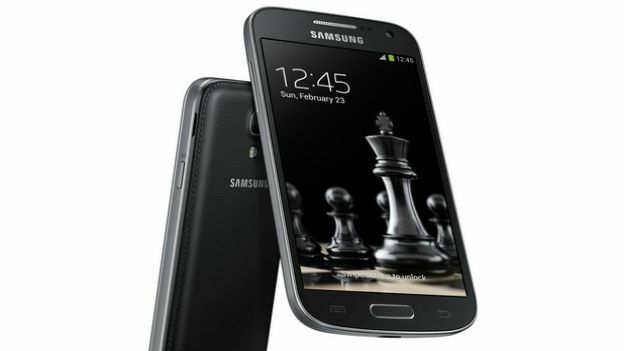 Samsung Galaxy S4 Black Edition will set wannabe owners back 22,990 roubles (£400). Should you buy the ex-flagship over the all-new Galaxy range? Huawei MateBook X Pro review (2019): the ultimate ultraportable laptop?